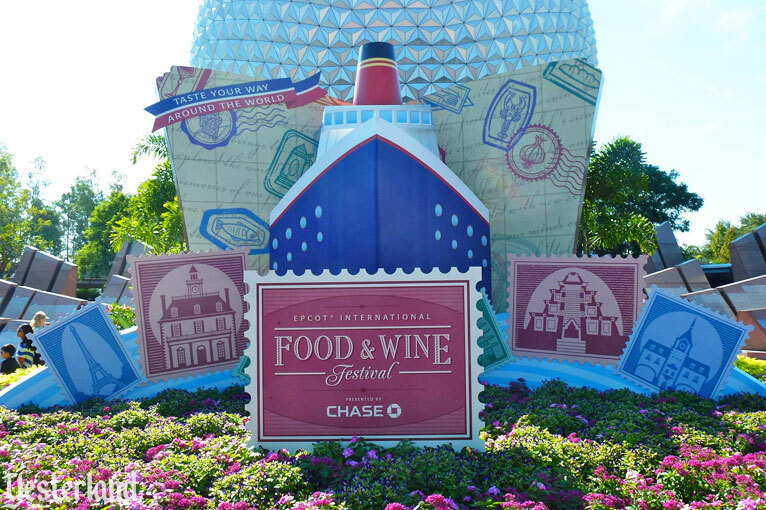 The 2012 Epcot International Food & Wine Festival is over. The doors of the Festival Center are locked. 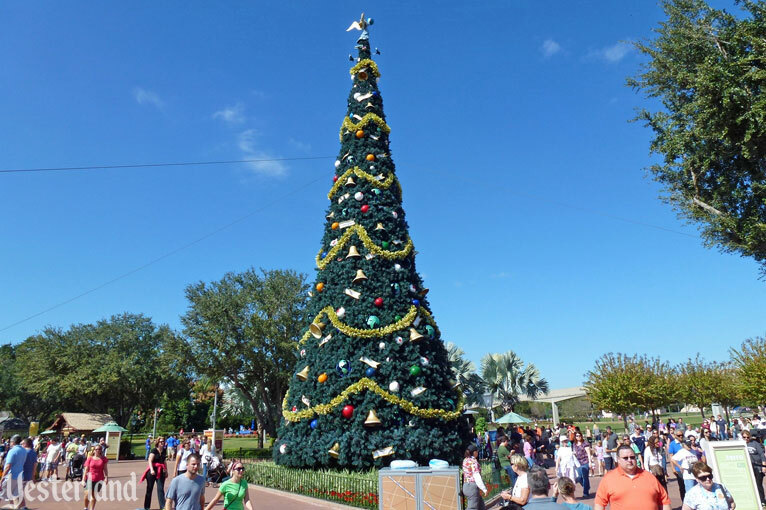 Epcot is now gearing up for Holidays Around The World and the Candlelight Processional (November 23 through December 30, 2012). 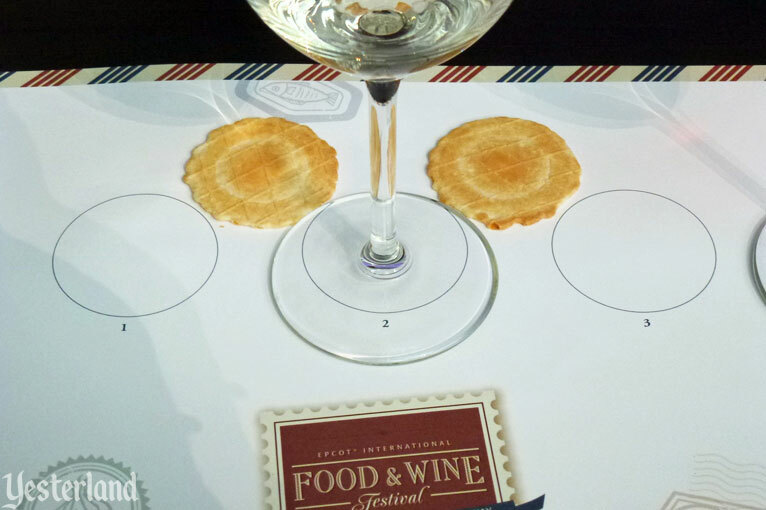 So far, Disney has not announced the dates for the 2013 Epcot Food & Wine Festival. There’s a rumor that Disney is planning a longer run next year than the 46-day run this year. That makes sense because Thanksgiving 2013 is later in the month—November 28, 2013, compared to November 22, 2012. 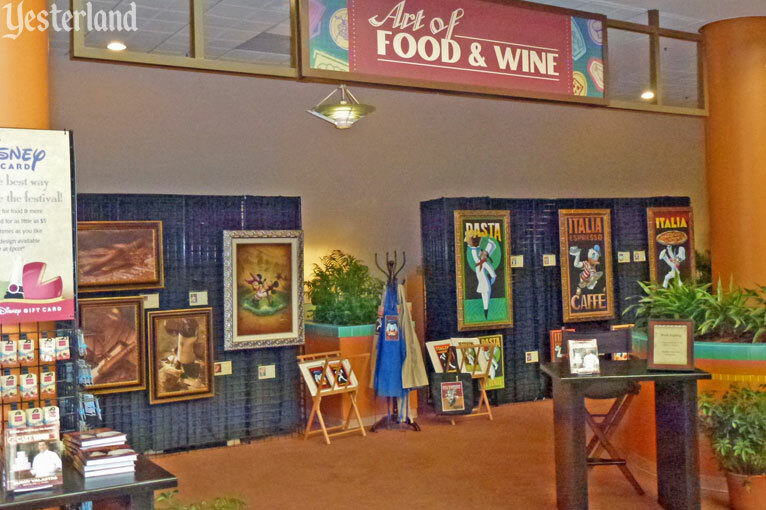 Another rumor is that the California Food & Wine Festival will return to Disney California Adventure in Spring 2014. That event last ran in 2010. 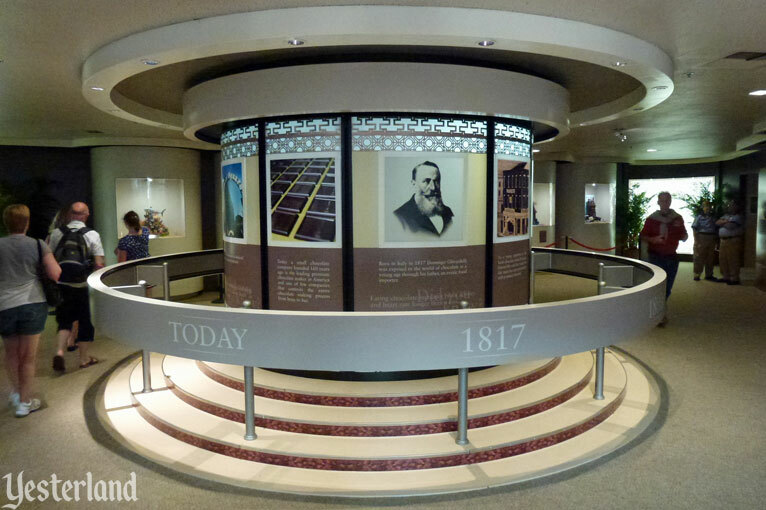 It was canceled for 2011 and 2012 due to massive construction at the front of the park, but it wasn’t put on the 2013 calendar despite the completion of that construction. As with any rumors, don’t count on anything until there are official announcements. 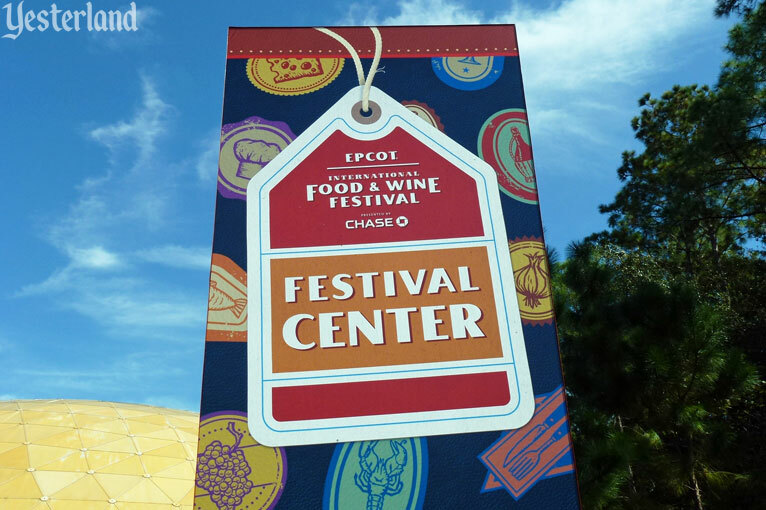 In a way, there are two Epcot International Food & Wine Festivals: The one inside the Festival Center and the one outside. 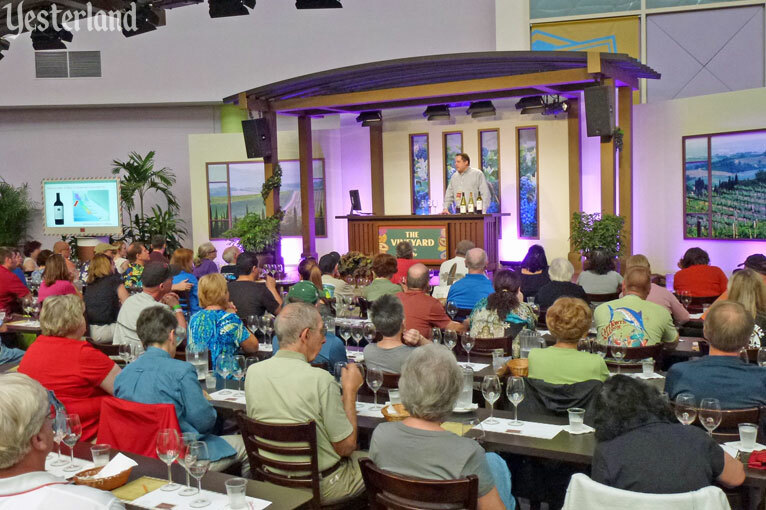 The Festival Center, which is the former Wonders of Life pavilion, is the comfortable, climate-controlled location for seminars, demonstrations, and various free and paid events. The next half dozen photos are all from the Festival Center. But enough about the Festval Center! Let’s go outside. 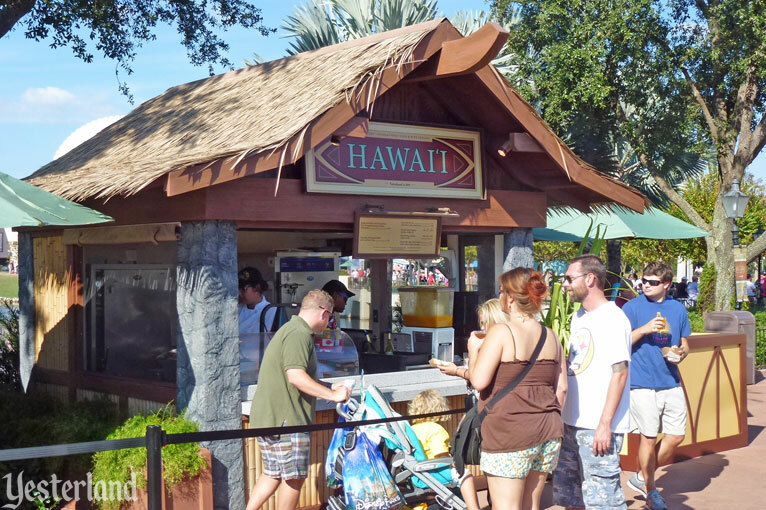 For many guests, the Food & Wine Festival is all about the 29 marketplaces on the World Showcase Promenade. 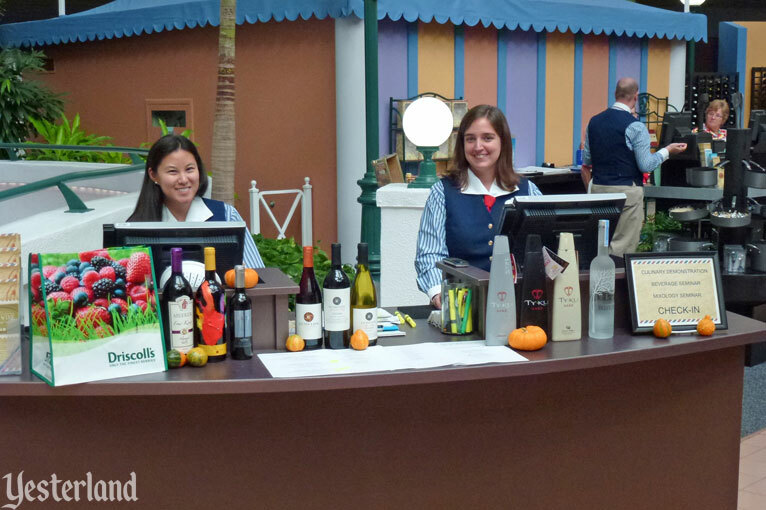 Although I was a Epcot for 11 days during the Festival, I only bought three food items and one two wines from marketplaces in all that time. 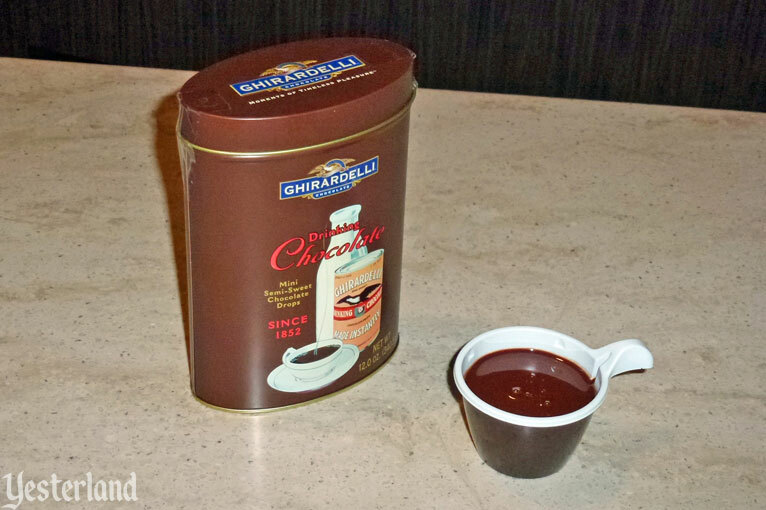 And my wife and I shared those. 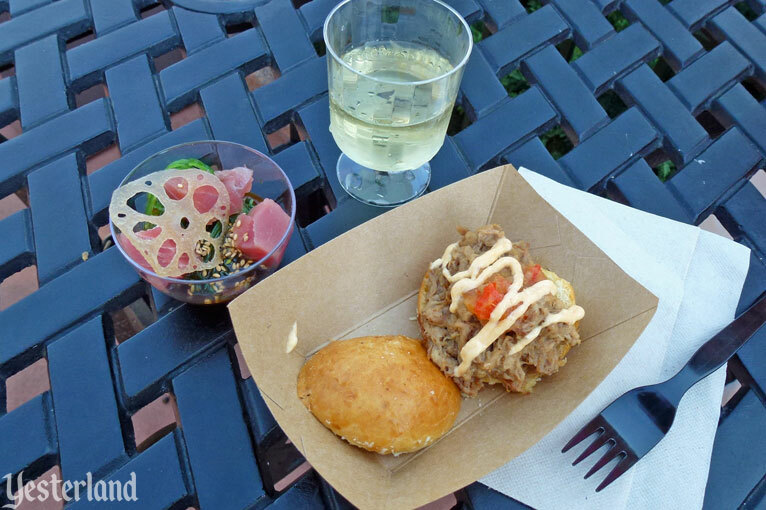 The menu said “Kahlúa Pork Slider with Sweet and Sour Dole® Pineapple Chutney and Spicy Mayonnaise.“ No, it wasn’t made with Kahlúa, the coffee-flavored liqueur from Mexico. 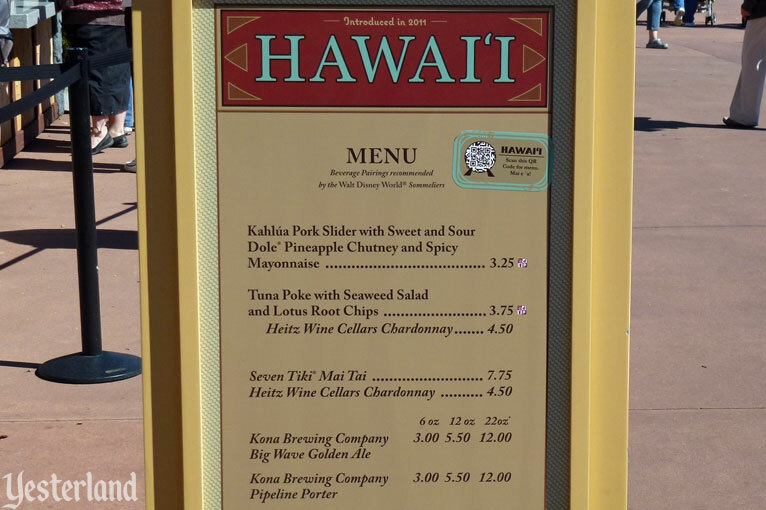 It should have said Kalua Pork. The price was $3.25. The Tuna Poke with Seaweed Salad and Lotus Root Chips was $3.75. (The “Lotus Root Chips” consisted of a single chip.) The Heitz Wine Cellars Chardonnay was $4.50. Canada Marketplace on Thursday, November 1, 2012, at 11:10 a.m.
Canada Marketplace on Saturday, November 3, 2012, at 2:41 p.m. The two photos above show the same marketplace at two different times. 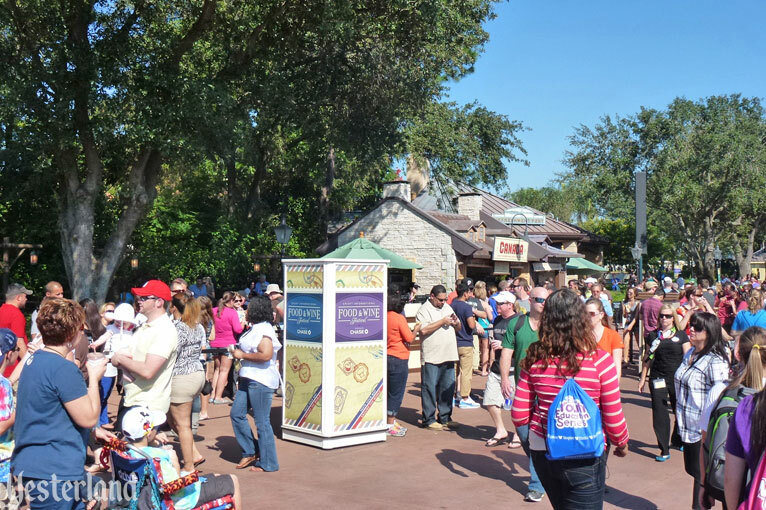 Although Disney keeps taking steps to improve throughput at popular marketplaces, there can still be long waits for some of them, especially on weekends. The lines for beer were especially long this year. 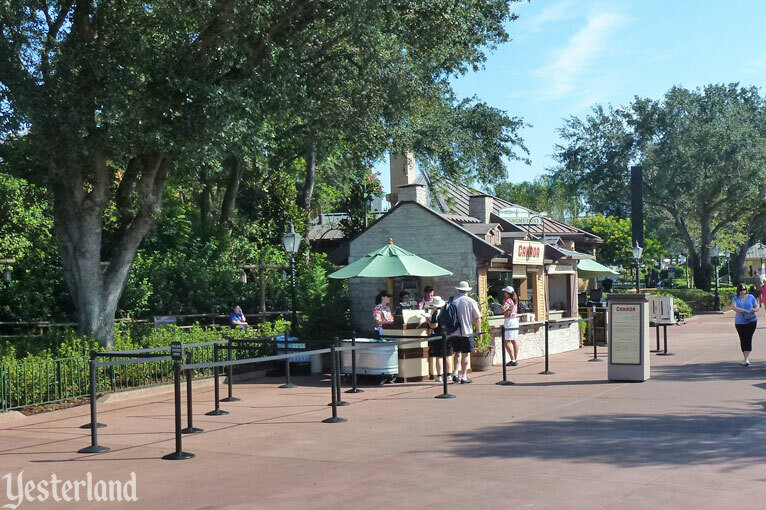 I predict that Disney will take steps to add more beer-selling capacity next year. This year, they probably left a lot of money on the table. 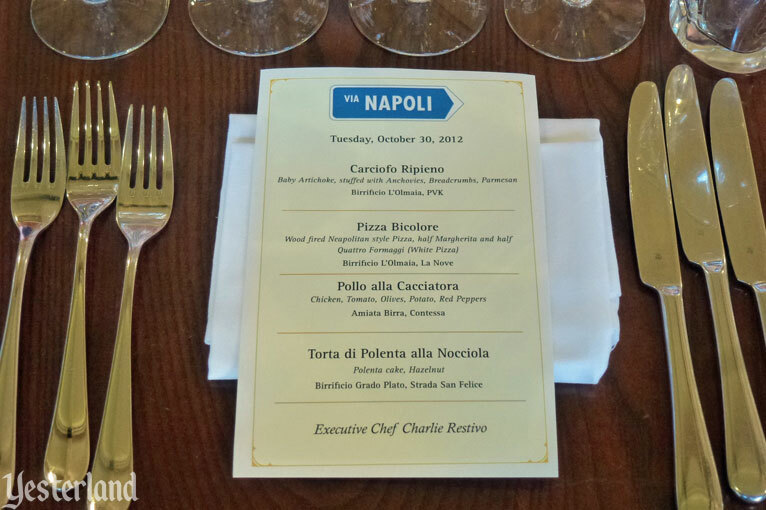 The three photos above provide a glimpse at the Italian Food and Beer Pairing at Via Napoli. The price was $55 per person, including tip, plus tax. 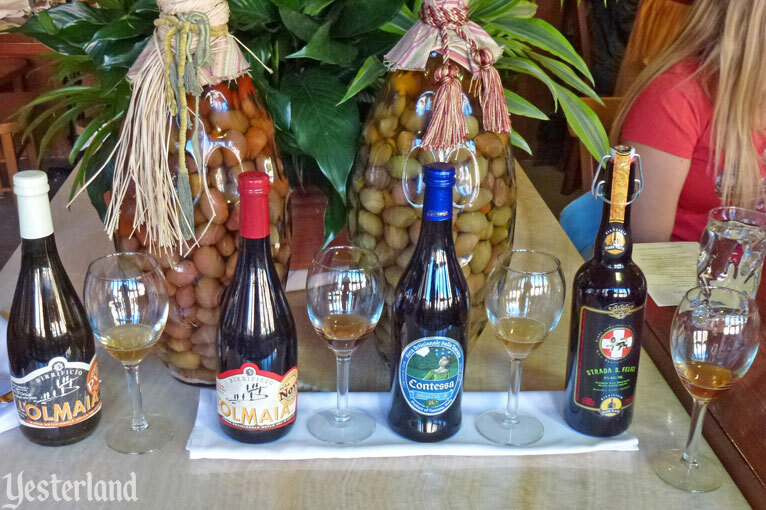 That may seem like a lot of money for pizza and beer, but it was really a four-course meal with four exceptional beers from small breweries in Italy. I would gladly do it again. 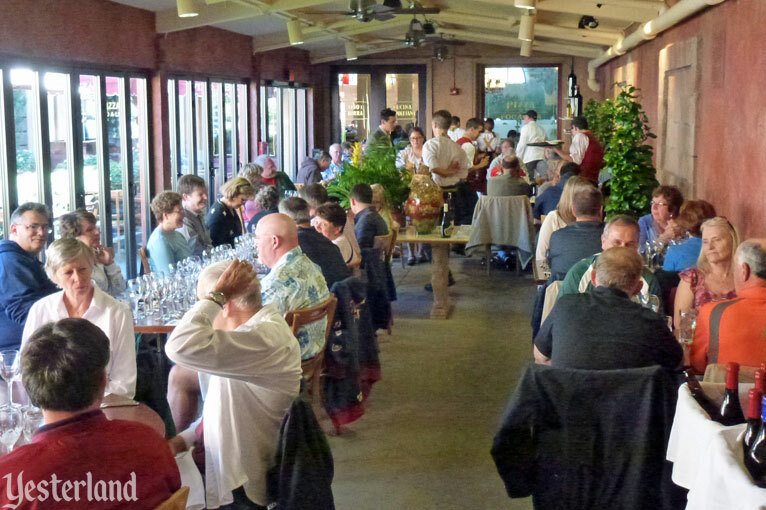 The priciest event that we attended was the Signature Dinner at the Flying Fish Café—$185 per person, including tip, plus tax. 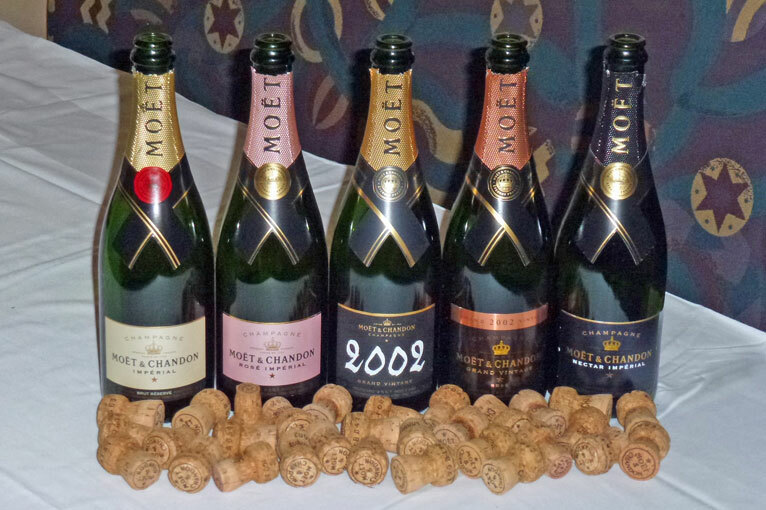 The six-course extravaganza featured five different Champagnes from Moët & Chandon. Yes, it was all very good. I’m glad I only had to walk back to the room afterwards. As much as I enjoyed it, I’m not sure we would do such a dinner next year if the price goes any higher. We used to go to Signature Dinners at the California Grill, but those are now $250 per person, including tip, plus tax. I just can’t see paying that much. Every night of the festival, there were three Eat to the Beat sets featuring musicians who were more famous in the past than they are now. There was a new act every two or three days. 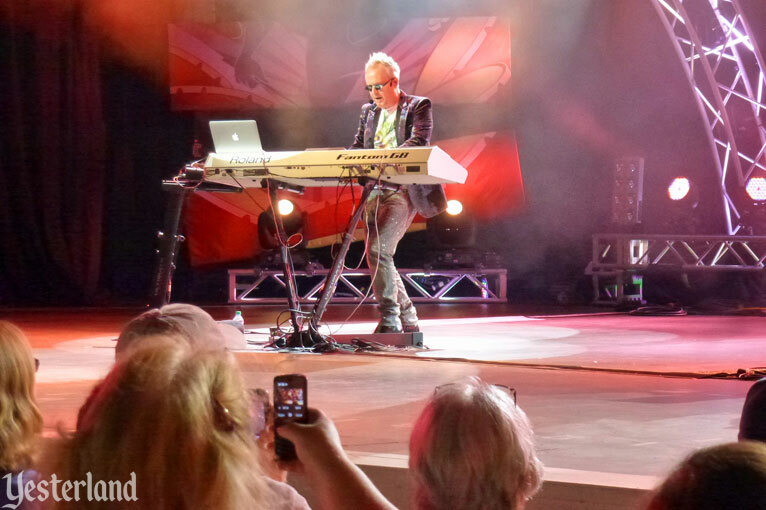 I enjoyed Billy Ocean and Howard Jones, the only two concerts we attended. 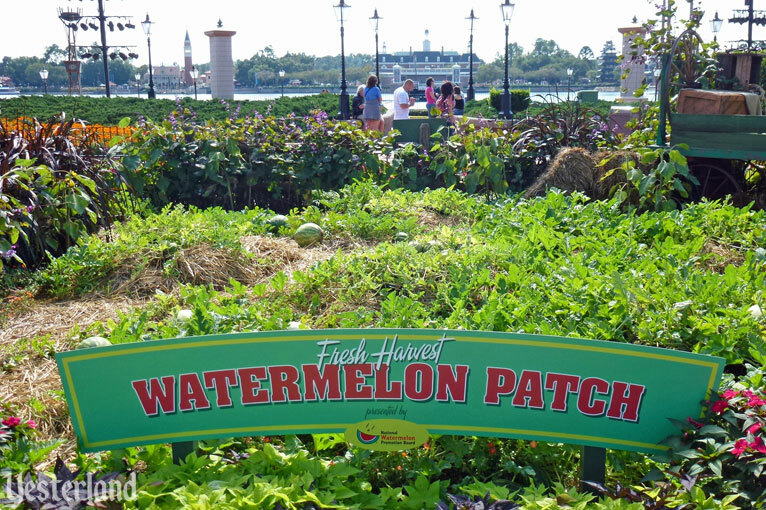 One of the new features of the 2012 Food & Wine Festival was the Watermelon Patch, Hosted by The National Watermelon Promotion Board. Any guest who expected watermelon taste samples or a conversation with a watermelon farmer was disappointed. Essentially, it was just sponsored landscaping. It didn’t even last for the whole festival. The three photos above all show the same planter (although from different sides). I took the photo of the Watermelon Patch on November 6. Two days later, I noticed that the Watermelon Patch had become a bed of marigolds. 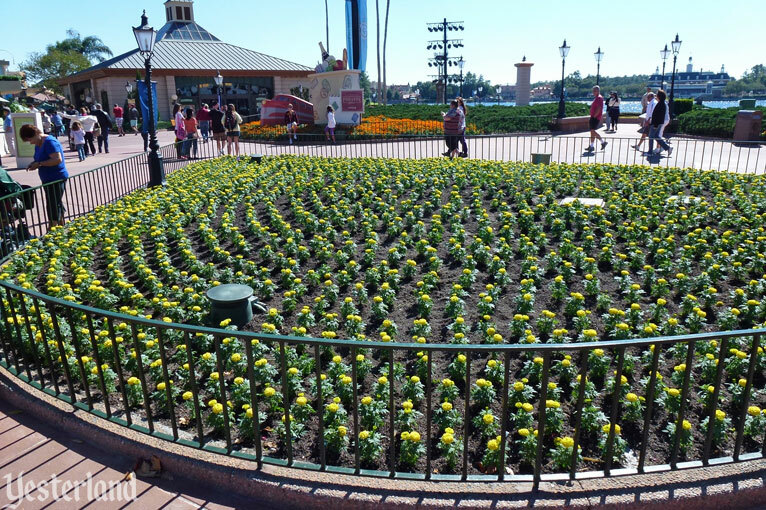 And two days after that, the Epcot Christmas Tree replaced the marigolds. 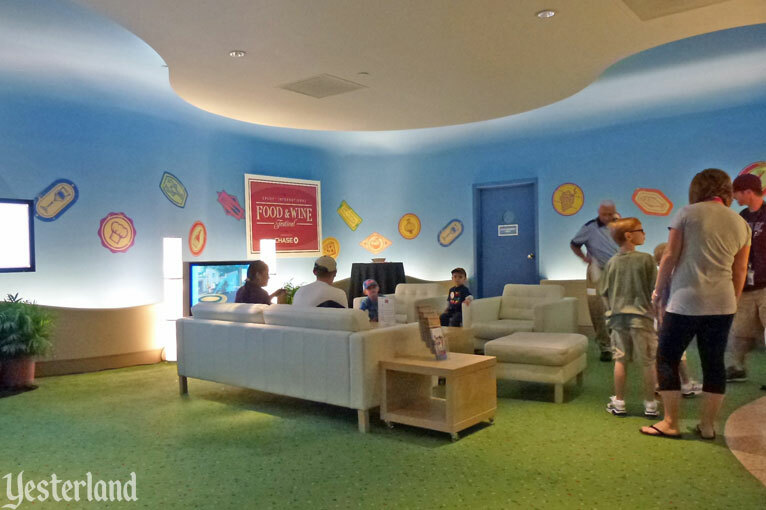 Good bye, Food & Wine. Hello, Holidays Around The World. 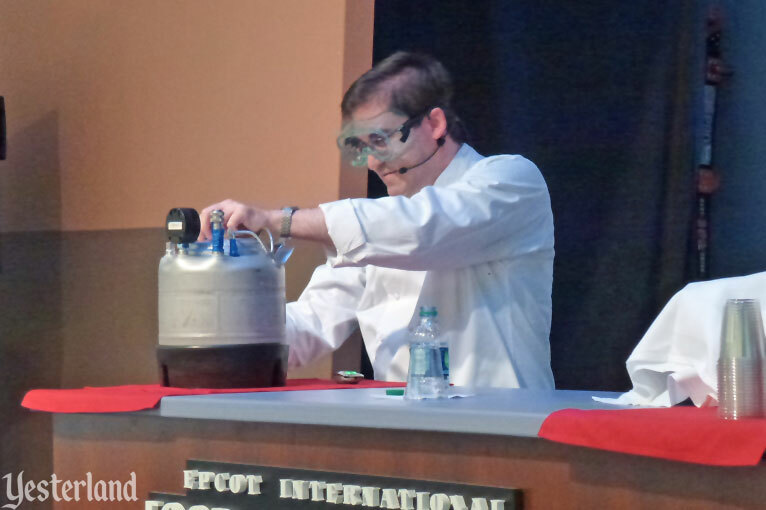 Please continue to Culinary Demos, 2012. All photos in this article: Werner Weiss, 2012.